Remixing “You Must Love Me” by Madonna is not an easy task. 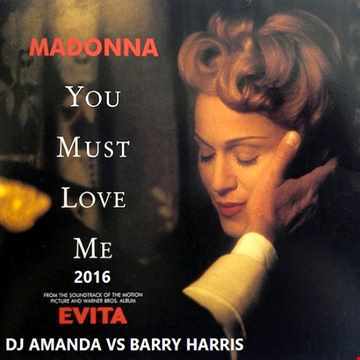 Enjoy this new effort by our favourite Dj Amanda mashed up with another favourite, DJ Barry Harris. Today that we rediscovered our exclusive, Breathless Evita, this is more than adequate, right? This is one of my favorite Madonna tracks so I thought I would take a stab at remixing it. Please let me know what you think and comment on it. Thanks!